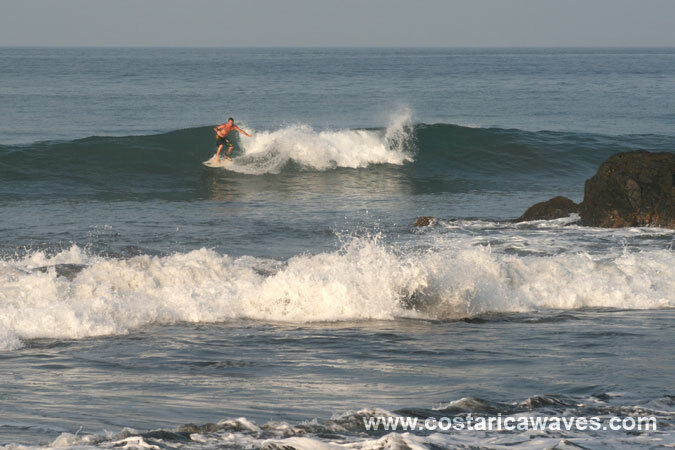 Terrazas is the surf spot at the northern tip of Playa Hermosa. These lefts are best surfed at low uprising tide. The bottom is sandy with rocks. During low tide some rocks stick out of the surface. Just be sure to check where they are and they won’t be a thread. 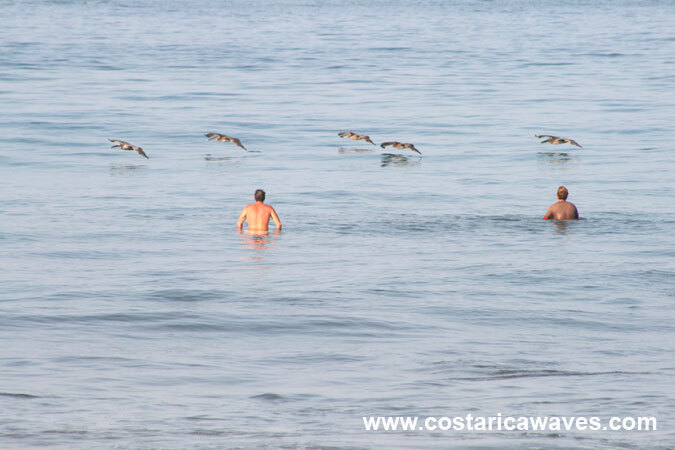 This wave works with swells from the Northwest and the Southwest. 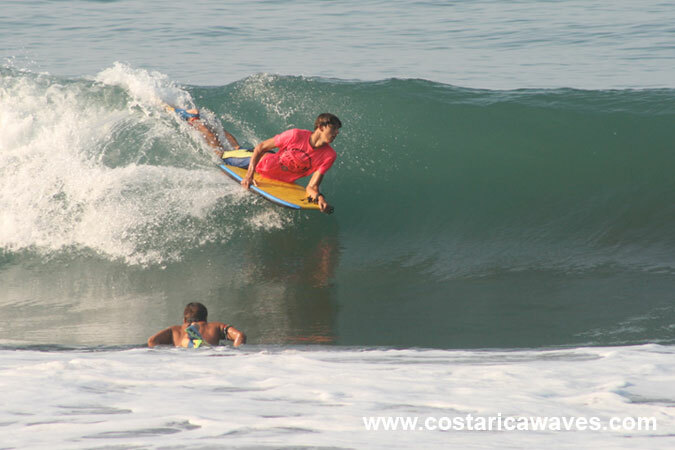 It is a quick wave that often barrels, you should be fast during the drop in. Terrazas is located in front of some hotels. When you get a room with ocean view you can have it right in front of your eyes all the time. 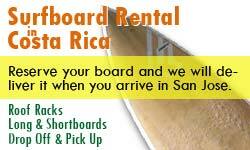 More surf spots are in walking distance. 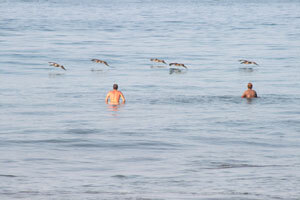 Pelicans flying close to the surface. Watch out with the rocks at Terrazas! Often when the ofher spots in Hermosa don't work, because the tide is too low, Terrazas still has surfable waves. 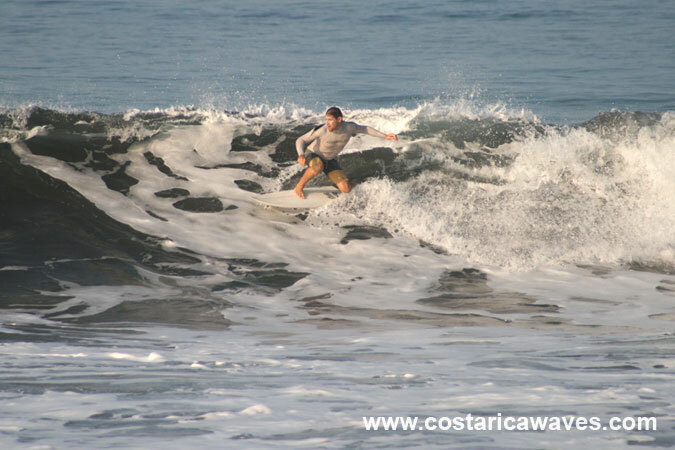 Surfing small waves at Terrazas. During low tide the rocks are exposed.